Polyflor SA’s new Palettone PUR range focusses on colours that stem from nature, and includes seven colour palettes comprising a total of 50 different shades – including classic neutrals, soothing pastels and daring brights. 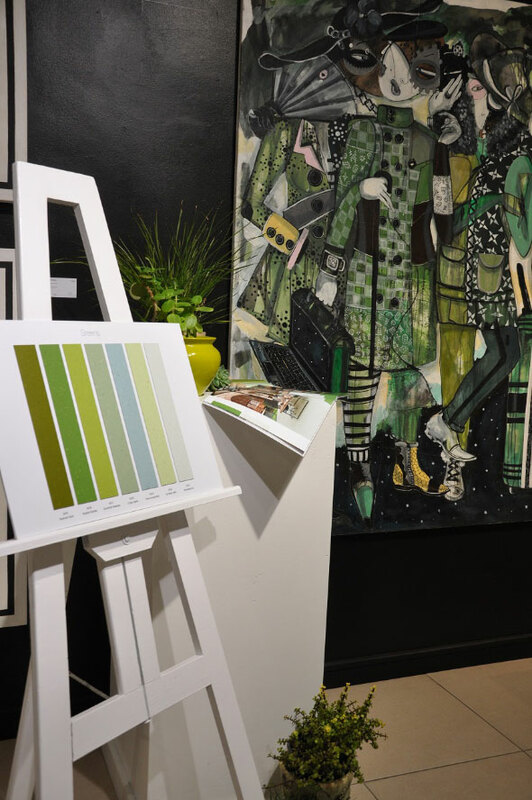 Polyflor SA used the glamorous setting of the Melrose Arch Gallery in Sandton, Johannesburg, as the backdrop to their launch of Palettone PUR – Polyflor’s new range of spectacularly colourful, homogenous flooring collection. “We were inspired by this range’s beautiful palette of colours and felt that an artistic, colourful environment such as an art gallery would be the ideal setting to introduce this new range of floors to our customers, sales staff and the media,” says Tandy Coleman, CEO of Polyflor SA. According to Tandy, Polyflor has spent the past 4 years delving into the psychology, philosophy and trends of colour in every aspect of our world. The psychology of colour and the new and different ways in which complimentary and contrasting colours are being used where we live, work and play, have resulted in in-depth studies aimed at determining the effects of colour and how to use them, which colours stimulate thinking and concentration, which are soothing and restful and if colours help inspire thinking or create a feeling of wellbeing. In choosing colours for Palettone, the Polyflor product design team started with 200 colours. 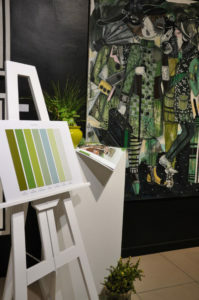 However, taking all their research into account and focussing on the colours that stem from nature, they settled on 7 colour palettes comprising a total of 50 different shades – including classic neutrals, soothing pastels and daring brights. Explains Tandy: “This floor is truly suitable for use in any area of design – from healthcare to education, retail to commercial. Designed for contemporary interior design schemes in commercial, leisure, retail, education, healthcare and office projects, the durable Palettone sheet vinyl flooring features a non-directional, semi-matt emboss for the even distribution of light reflectance. In some colours, the contrast is more obvious than others, but there is a science to this which relates not only to making up the colour, but also showing less dirt or scratches by this complementary blend of colours. The subtle tone-on-tone designs in the Palettone range mean it is a perfect fit-for-purpose floor covering solution for dementia-friendly environments”. Combined with a superior closed surface finish, this range offers high quality, cross-linked, UV cured polyurethane reinforcements that protects the floor covering by resisting soiling and scuffing, as well as enhanced PUR protection that creates a polish-free maintenance regime for the lifetime of the flooring. It has low VOCs and carries an unprecedented 15-year warranty. “The new Palettone collection offers our customers the widest variety of homogeneous vinyl flooring designs to date, with a shade available to complement every interior design scheme imaginable. As with our other commercial vinyl ranges, Palettone performs to a high standard, has excellent durability, is easy to maintain and provides endless design opportunities. When it comes to colour and choice, we want our customers to think Palettone,” Tandy concludes.